WHAT'S IN MY CARRY ON? | RAWR BOWS. Hello guys! This week I am heading back to London to start my second year of university and I've decided to show you guys what I am bringing with me to the airport and in the plane. I personally love this kind of posts as I am a rather nosey person and love seeing what people keep in their handbags and stuff. 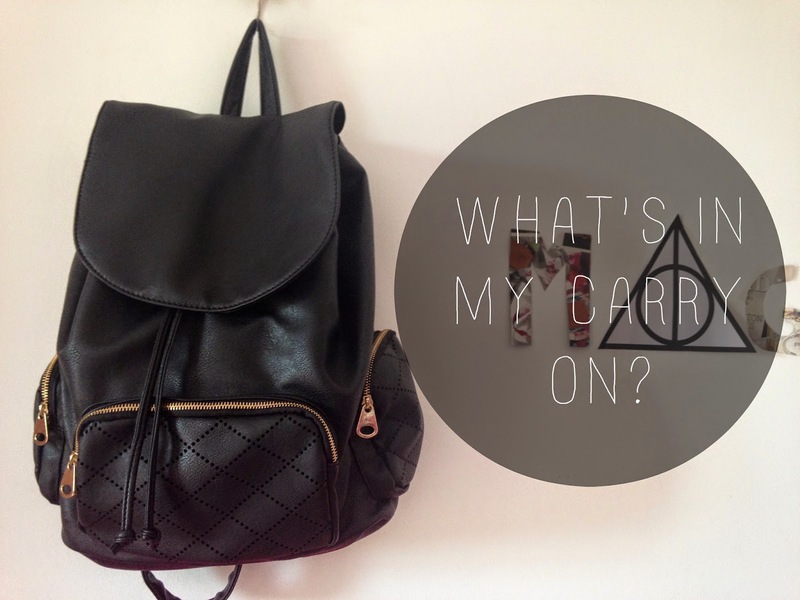 I always use a backpack rather than a handbag when I’m travelling as it’s more comfortable and more roomy. This one is from Forever 21 and it might not seem very big but it is huge, the biggest MacBook would definitely fit in here! It was only 24€ and It feels and looks more expensive so it was a pretty good deal. Now into what’s inside the bag! First thing first, I have my iPhone because if it’s not glued to my hand or in my pocket, it’s in my handbag. Then I also have my passport because I probably wouldn't be able to leave the country without it (and that would be a problem). Next, I have my wallet with some cash, my ID card and my debit cards in it; my headphones and my iPod. I also have my make-up bag with some essentials as I don’t like to put my make up in my suitcase, a water bottle that I’ll gave to throw away before going through security and all my chargers. The biggest thing I keep in my carry on is my laptop which is my main source of entertainment when I am flying. Whenever I am travelling very early in the morning/very late at night or to a country with colder weather I like to keep a sweater or a cardigan in my backpack so that I don’t get cold. However, this time I went for a flannel so tied it up around my waist to make me feel like Khloé Kardashian. What are your must haves when you’re travelling?